I named my newest quilt Be Bold because that is the name that popped into my head when I stood back and looked at the quilt. 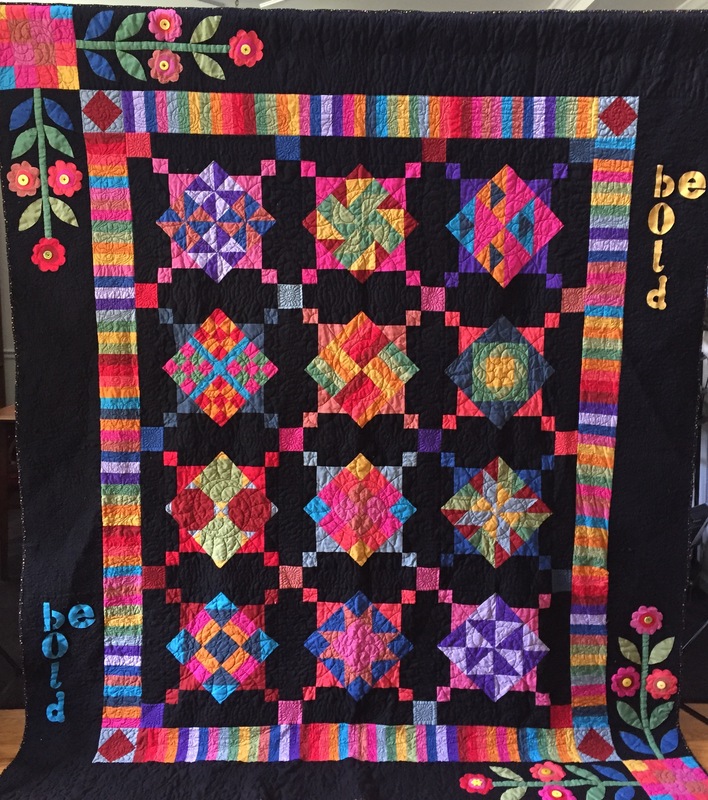 Be Bold is based on a pattern called “Amish With a Twist.” It features sampler blocks in strong bright solids on a black background in the Amish tradition of quiltmaking. Be Bold is part of my “BE” series. Other quilts in this series are Be Amazing, Be Fearless, Be Stronger, Be Brilliant, Be Bossy, and Be You. You can see some of these quilts in my Etsy Studio Store. This quilt reminds me to live life confidently, to trust my instincts and to take chances. Are you living your life boldly? This entry was posted in A Quilter's Life, My Treasured Heirlooms and tagged African American quilter, amish quilt, Be Bold, O.V. Brantley, quilt. Bookmark the permalink.